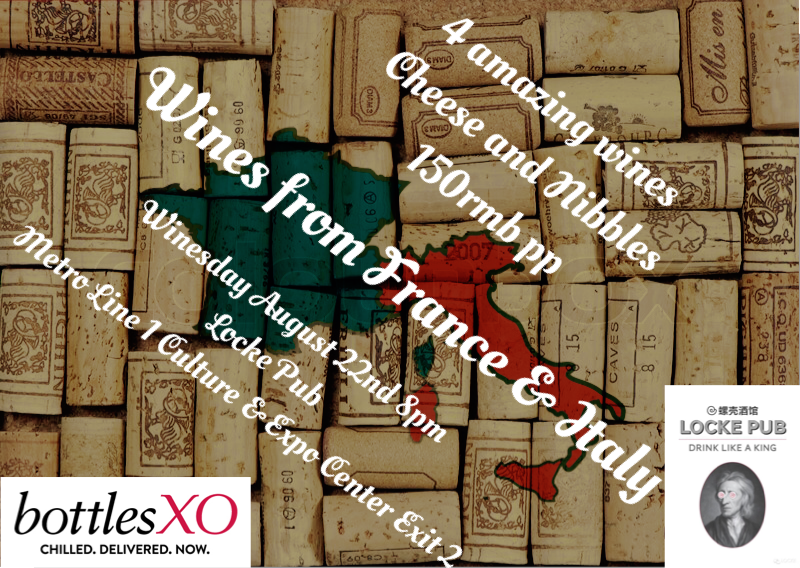 Join us at Locke Pub for a night of bites and great wines from France and Italy! We’ll be at one of our favourite bars in Suzhou – Locke Pub – for Winesday, opening a selection of French and Italian bottles accompanied by a few tasty nibbles. All wines and bites can be yours for only ¥150. Get a taste of wines from France, Italy and much more delivered to wherever you are in Suzhou and Shanghai. Click here to download the BottlesXO app and start ordering.